If one accepts that employees who feel valued and are treated well deliver high quality outputs, then the food safety lapses in Brazil’s chicken industry should come as no surprise, given the well documented human rights abuses in its supply chain. 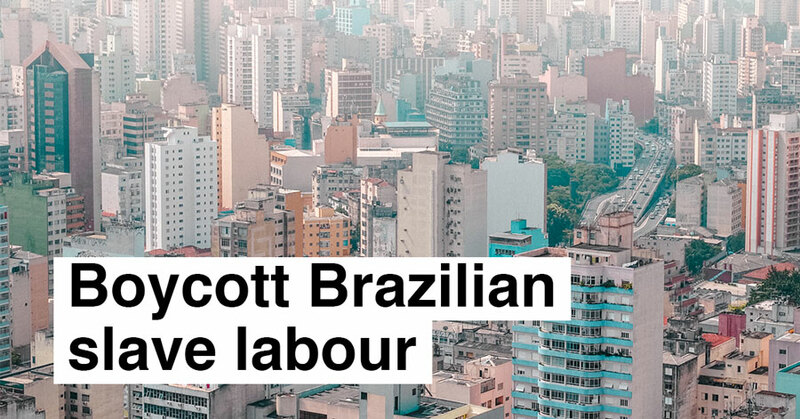 Exploitative labour practices that verge, in some cases, on outright slavery, are the dark side of Brazil’s much-vaunted international competitiveness. Examples of Brazil’s worker abuse are enough to let one’s blood run cold. According to the Global Slavery Index, 161 100 Brazilians were trapped in modern slavery in 2016. Labour abuses in Brazil are well documented in studies and reports by the Institute for Agriculture and Trade Policy in Washington, by Germany’s Heinrich Boll Foundation and by Reporter Brasil. In 2017, the Brazilian government approved a major Labour Code Reform that, in at least two cases, increased workers’ vulnerability to abuse and exploitation. The first expanded subcontracting from support services only to core staff, such as factory workers. Sub-contracted staff in Brazil earn 25% less than those directly employed, and tend to work longer weekly hours under more precarious health and safety conditions. The second change allowed negotiations over salary, working hours and conditions to be decided between employers and workers, and could be enforced even if conditions leave workers worse off than what is legally guaranteed. In practice, it legalises payments inferior to the national minimum wage and allows employers to impose lower salaries and working standards. If people in the chicken supply chain are indeed treated this poorly, breaches in food safety standards should not be a surprise. Surprisingly, the South African government – which is in a tripartite alliance with a labour federation – has not expressed concern or called for investigations into the country that supplies most of our chicken imports. It is a crime against local workers who lose their jobs as imports displace local production; against local consumers who are exposed to potentially unsafe food; and against some unfortunate and exploited Brazilians who work in slave-like conditions to produce meat for export and profit.